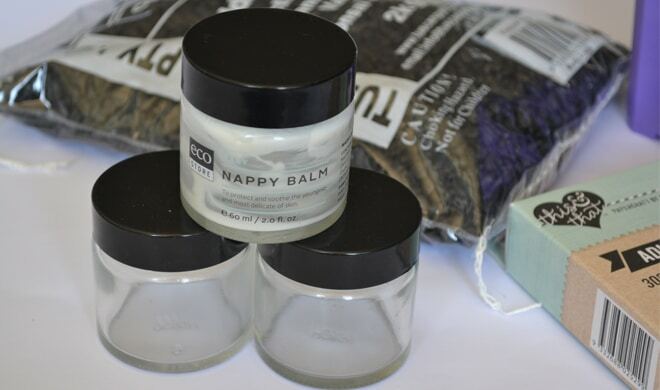 I love using the ecostore nappy balm but was looking for ways to recycle the glass jars it comes in. 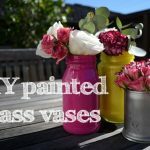 I have so many jars in my craft cupboard and didn’t need another pen holder so I decided to make these succulent jars. I’m not a green thumb so succulents are the perfect plant for me. A little water every now and then and a little wave in the morning and they seem to stay alive. 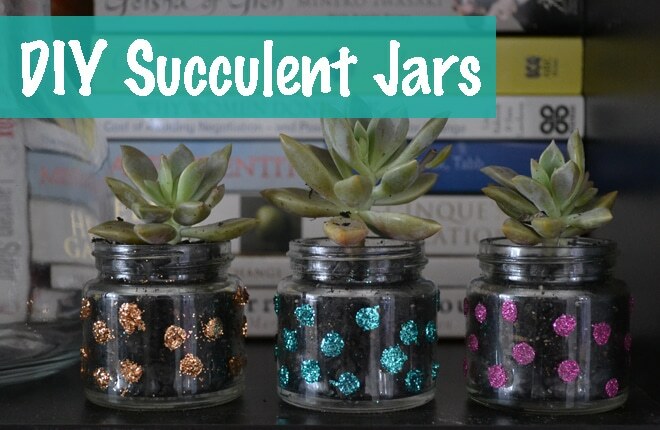 I jazzed the jars up a bit with some glitter but you could just leave them plain if glitter isn’t your thing. 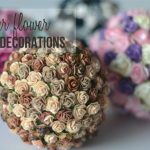 You could use a coloured gravel instead to add some colour or just leave them plain. 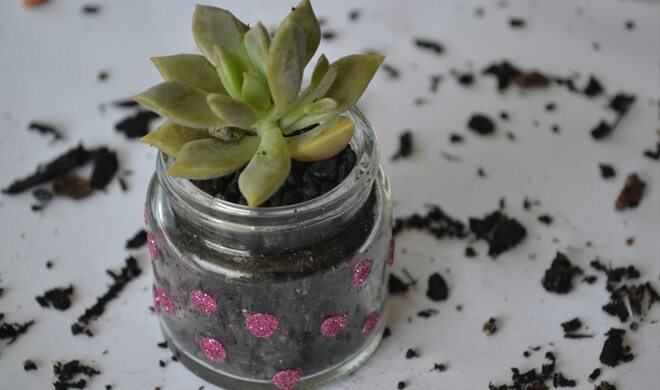 One you have made your succulent jar you can place it on a windowsill, bookshelf, buffet or make them as favours for a birthday party or as a christmas gift. 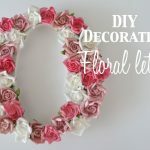 They are a great way to recycle old glass jars and are such a nice decoration for the home also. Peel the labels off your jars. 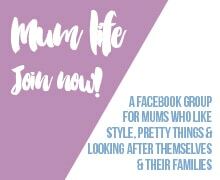 Wash inside and out with warm soapy water and then dry. 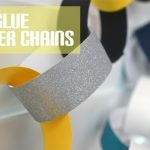 You won’t need the lids but keep these in your craft box as you could use them for another project with the kids later down the track. Lids make great wheels! Place your sticky dots on the jars. I found it easier to cut around the dots while still on the paper and then stick them all on as in the picture below. 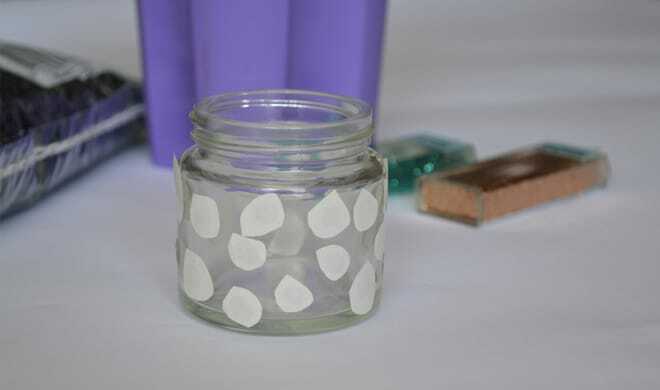 Press the dots carefully onto the jar but don’t peel off the backing paper until you are ready for the next step. 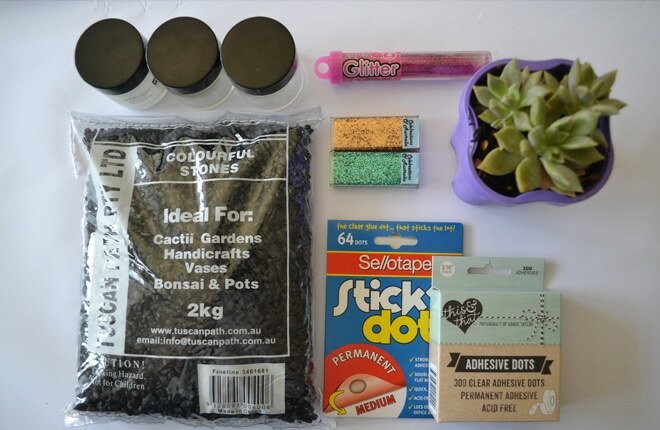 Carefully pour the glitter over the sticky dots. 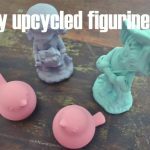 Try not to pour out too much at once as it can get very messy! 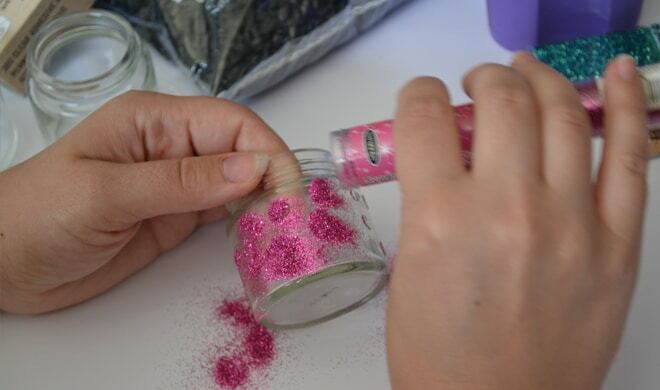 You can also use your finger to spread the glitter over the dots. 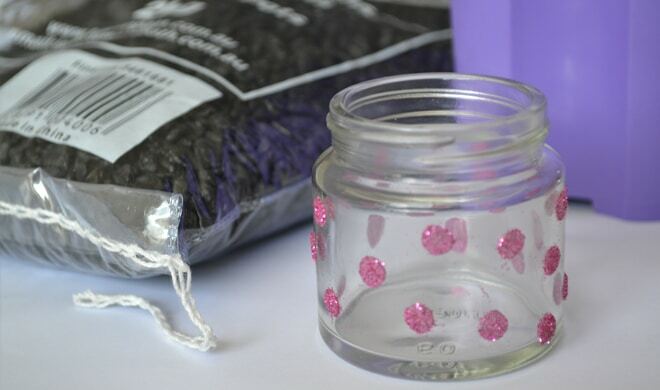 Use a tissue to carefully wipe away any residual glitter. Pour a small amount of gavel in the bottom of the jar to create a thin layer. Remove the succulent from the pot. 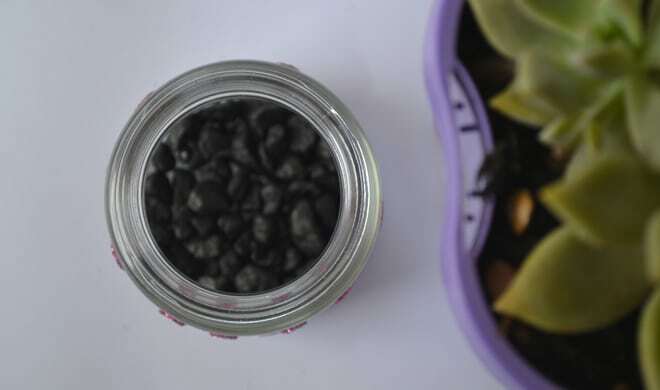 Place a small amount of soil in the jar and then the succulent on top. Fill with more soil and place a layer of gravel to finish it off. Do you have a good idea for recycling glass jars?